You might think DIY stands for Do It Yourself - when it comes to funerals, we prefer to think of it as Direct It Yourself...! Arranging and conducting a funeral without employing a funeral director is something that only a few families undertake, but those who have done so are invariably surprised by how easy and straightforward it was. If this is something that you are considering, we suggest that you contact the Natural Death Centre for free advice and guidance. There is no legal requirement to use the services of a funeral director but many families find the prospect of organising a funeral entirely without support from an undertaker very daunting, not least from a practical point of view. A middle road is to find a funeral director who will provide as much or as little help as you require (see below). 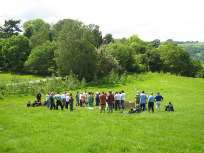 Almost all aspects of a funeral are relatively straight forward in themselves, the difficulties arise because of the emotional strain of being bereaved, the pressure of time, the lack of experience of looking after the body of someone who has died and a lack of knowledge about the paperwork required. 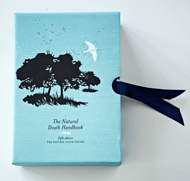 Get a copy of The Natural Death Handbook - a complete manual for anyone considering caring for their dead and organising a funeral without the services of a funeral director. With preparation and planning, anyone wishing to organise a funeral independent of a funeral director will be able to do so. And there's a beautiful, personal account by Wendy Miller that can be viewed on Youtube here - Wendy took on officialdom, collected her mother's body in a camper van and spent the next three days literally working through her grief - "I drove Ma around to her friends so they could say goodbye, and I took her down to her favourite beach. I very much doubt, being dead, that she was bothered one way or another, but it did ME a helluva lot of good. After all, I was the one suffering now. Hers was over." Wendy dug her mother's grave herself, at her own speed, and fortified by tea and chocolate cake supplied by the owner of the burial ground..! 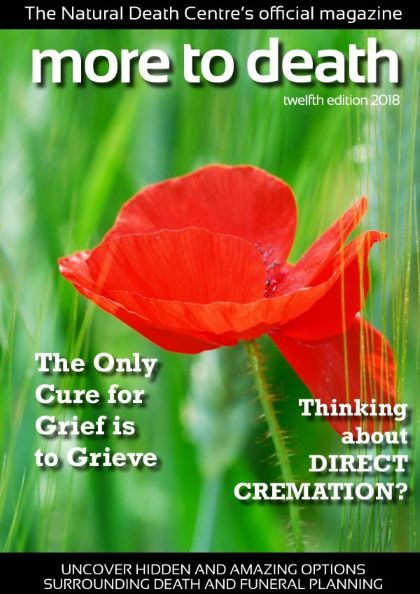 Finally, there's a growing movement for home funerals in the United States, and a great article here by author Max Alexander contrasts the simplicity and satisfaction of caring for his father-in-law after death with the experience when his own father died just 17 days later. Good funeral directors are experienced at caring for those who have died and helping families organise funeral ceremonies. There are flexible and helpful funeral directors out there, please see our list of Recommended Funeral Directors to find one near you. Lawrence Bernstein has written a useful guide to writing a eulogy, which you can find here. He will be happy to help with further advice on eulogy writing if you need it - see his website here. Please contact us for guidance on all of the practicalities, as well as details of how to order a coffin or shroud and how to find a suitable celebrant should you want one to help you. We have years of experience helping and supporting families who want to look after their dead themselves. We can also advise you on the advantages and disadvantages of home burial. We have created a document for families who would like more details on a DIY funeral, this can be downloaded here. Previous page: Recommended Funeral Directors Next page: What is a good funeral?